8 Crucial Motorcycle Insurance Facts Everyone Must Know. Motorcyclists are more susceptible to accidents on the road than those driving cars and trucks. They are more likely to be killed and/or injured. According to the National Highway and Safety Authority, motorcycle crashes cost the American economy $16 billion annually. Most of it is used in emergency services, medical bills, property damage, and rehabilitation. Copper Mountain Insurance aims to provide insurance solutions to help our clients in Arizona and Colorado. Medical Bills: The cost of medical treatment is enormous if you are involved in an accident. The bills may even skyrocket in cases you will need additional treatment after visiting the hospital. Having adequate cover helps bridge the gap with your personal health insurance. Third Party Injury: When you injure others, you must be able to compensate them. A qualified policy provides various levels of payment. 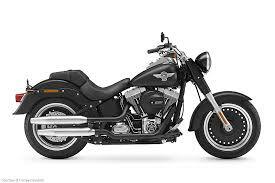 Motorcycle Replacement: Some accidents result in total loss of your bike. The cost of repairs may surpass the cost of replacement. We offer policies that offer actual cash value or replacement value. Collision Coverage: When you are found culpable of causing an accident, your collision part of your policy comes to your rescue in paying for damages you made to to your bike minus your deductible. With this basic knowledge its time to contact one of our experienced motorcycle insurance agents. At Copper Mountain Insurance we have many different motorcycle carriers to provide you a great price with excellent coverage. The best time to add your teenager to your insurance is when they officially get their driver’s license. Since they live in the same household and have full access to the vehicles you want to be sure they are covered. Will My Price Go Up? The short answer is yes. When we add a new driver to the policy you will see an increase in rates. Because young drivers have a lack of experience they have a higher percentage of being in an accident. The following are a few discounts some of our carriers provide. - Make sure your teenager is getting good grades and maintains over a 3.0 GPA as you may qualify for a good student discount. -Have them drive a vehicle that only requires liability protection. A newer car will usually be more expensive to insure. Since we are a full service independent agency we work with many different carriers to ensure you are always getting the best rate with the highest coverage. When you have a few minutes give us a call and we can discuss your specific situation. We are available at 602-412-3366. Do you know what your Auto Insurance Policy covers? Deductibles: In some cases your deductible may be set too low. The premium you pay for that lower deductible rate is, a lot of times, more than the deductible you would pay out in an accident. If you have an “emergency fund” savings account set up for emergencies, then you should consider raising your deductible to $500 or even $1000. This could save you a substantial amount on your annual insurance. Coverage Limits: Make sure your limits are set at a reasonable limit for proper protection in an auto accident. Did you know that if your bodily Injury limits are set at $15,000 per person and $30,000 per accident and, in the event of an accident you cause injuries amounting to more than that, the other person has the right to sue you for the amount over those limits? And the cost to raise your limits may be less than you might think. We recommend setting your limits to at least $100/300/100. This means you have limits of $100,000 per person and up to $300,000 per accident and Property Damage limits of $100,000. We re-quote your policy at every renewal. As an Independent Insurance Agent we work for you not for the insurance company. We work to get you the best coverage and the best price with the best company period. We quote your policies with up to 16 different carriers making sure we find the best policy to meet your particular needs. If you ever have a question on your policy give us a call at 602-412-3366. It is also very important to discuss other coverage's that are available to you including uninsured or under-insured protections, medical payments, rental reimbursement and roadside coverage.